Blockchain-Powered esports Company is About to Give Thousands Away During a Week of Tournaments! Company Gives Back to Gaming Community with "Tournament Week"
BOSTON, November 13, 2017	(Newswire.com) - FirstBlood.io, the world's first blockchain-powered esports company has just released their newest feature, an additional opportunity for gamers to compete on. The long-awaited feature has finally come out and players are already diving in to preregister. 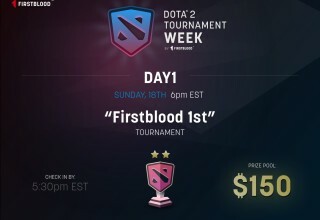 This exciting new technology and feature, FirstBlood.io calls, "Tournaments". A revolutionary technology that offers seamlessly simple fully automated tournaments. 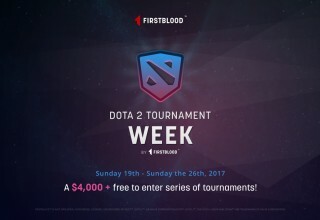 FirstBlood.io is celebrating this milestone by giving back to the players that have helped them thus far and, to the entire competitive Dota 2 community as a whole with "Tournament Week". An 8-Day, free to enter, tournament series, with over $4,000 in prizes Dota 2, experience. 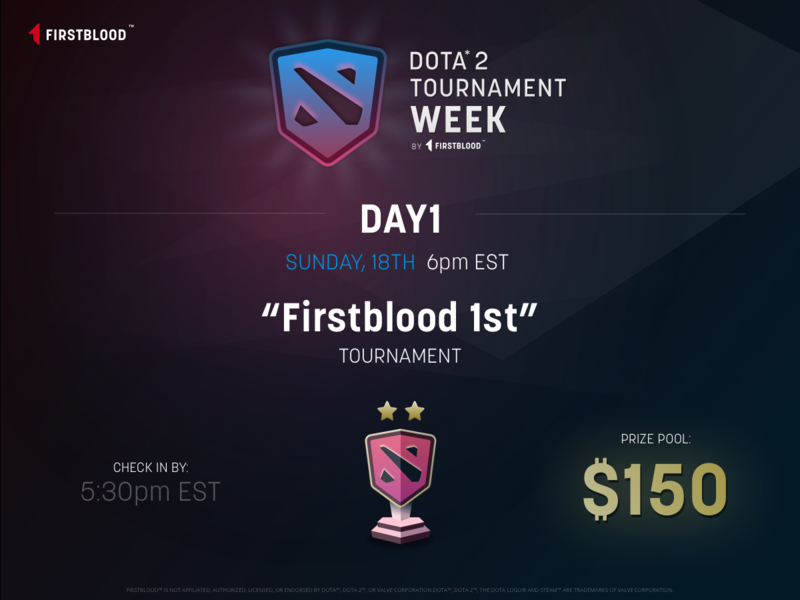 FirstBlood.io is offering any team the chance at winning real money from competing in Dota 2! The best part? FirstBlood is offering this to anyone, 100 percent for free. When is FirstBlood Tournament Week? The first day will be Nov. 19 and the final day will be Nov. 26. You can preregister now with Limited Team Slots. Will it cost anything to play in one of the many tournaments? It's free to enter, offering you and your team only rewards. What are the Daily Prize Pools? 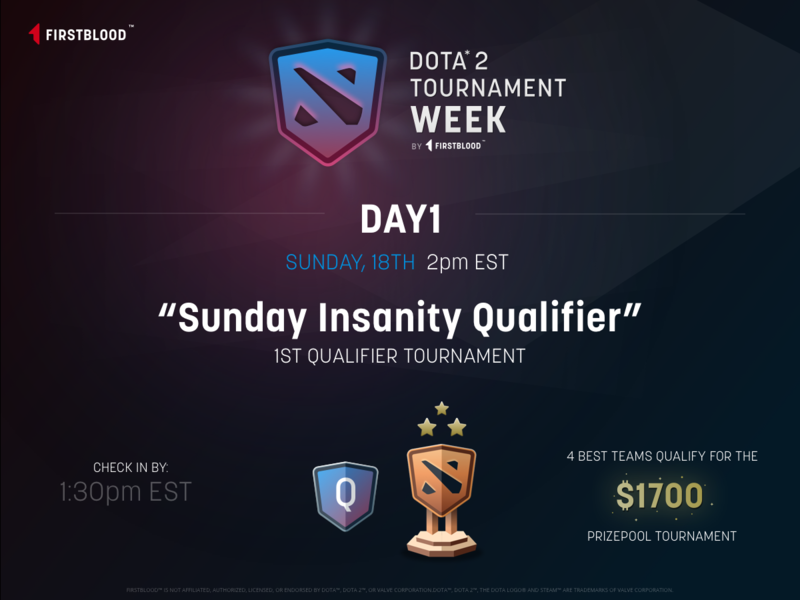 From Sunday to Sunday, each day will have different prize pools. Cash prizes will range from $5 to $1,700. FirstBlood.io has an intense schedule already in place. Keep an eye on the qualifying tournaments, too. 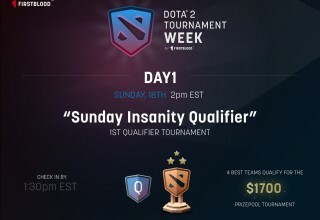 Qualifiers will be the tournaments that grant your team access to larger prize pool tournaments. There are a few requirements. You must be 18 years of age or older and you must bring a total of five players to make a full team. There are no solo-queue options. If you don’t have a team, you can join their Discord to look for a team. You do not have to be at a certain skill level, however, FirstBlood.io wants to be clear, just as there are no lower limits to join, there are no upper limits either. Literally, any skill level can join. 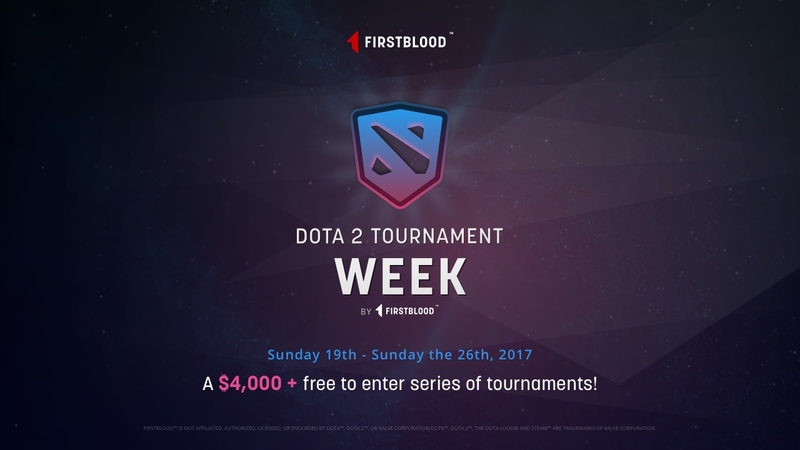 FirstBlood.io has also stated that a team can register for as many tournaments as they would like. How can you and your team sign up? Five easy steps will get your team ready to compete during Tournament Week. How will FirstBlood.io be capable of holding all these tournaments? It is all thanks to their new technology and tournament feature — a one-of-a-kind solution that brings full autonomy to hosting tournaments. Tournament week will showcase for the first time, FirstBlood’s brand new tournament feature. FirstBlood.io is adding the ability to run Tournaments on Auto-Pilot. Teams will have a timeframe to check-in; after that time finishes, the feature takes over and places teams appropriately in brackets and starts the tournament. The tournament will run fully automated, moving teams accordingly through the brackets. So what is FirstBlood.io exactly? 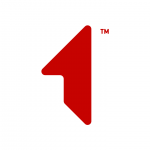 FirstBlood.io (“FirstBlood”) is a decentralized esports gaming platform that will allow individuals to test their skill and compete in 1v1 and team vs team matches for popular online games, starting with Dota 2 and expanding into other popular esports titles. Want to discover more? Head over to FirstBlood.io. The Worlds First Blockchain Powered Esports and Competitive Gaming Platform.